We all know what it feels like to whiff at the golf ball. It’s not a sign of a bad golf swing, it’s just a sign of a lapse in concentration. You settle into your stance, prepare for a good swing, take the club back and swing for the fences, coming out of your posture and losing your stability. The whiff has gotten us all at one point or another, and here’s how to ensure it happens only once in a blue moon: solid golf swing mechanics. 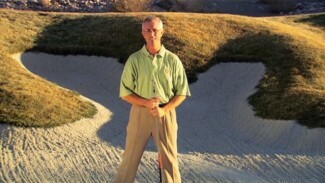 Solid golf swing mechanics entails a strong, balanced stance and stability through the spine. By practicing proper golf swing mechanics, you prevent your head from popping up, your back from jerking and your legs from extending before making contact with the ball. In this lesson, we teach you some simple ways to improve your golf swing mechanics and develop a more balanced and stabilized stance. So we know that the unexpected whiff comes from a momentary lapse of concentration and split-second decommitment to a stable stance. But how do we nullify the body’s tendency to slip out of its stable position? We work on our golf swing mechanics. To help you figure out how to maintain and even strengthen your stability and balance, PGA Professionals Adam Smith and Tom Henderson teach you some expert tips for improving spinal stability and core strength. To start, Adam shows you how to improve your golf swing mechanics by using the shaft of your golf club to practice proper spinal alignment. With this simple drill, you’ll learn whether you’re utilizing proper posture and discover why it’s so important to keep your spinal still during your swing while the rest of your upper body does the work. 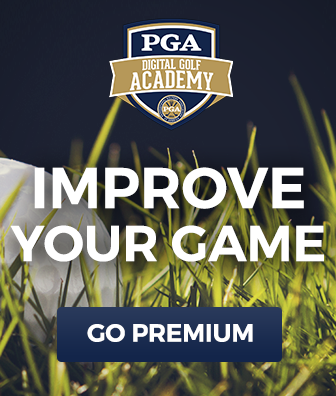 He also emphasizes maintaining centeredness and keeping your forward foot planted throughout your swing. Then, Tom demonstrates a couple quick exercises you can practice at the range and on course to promote better golf swing mechanics in the way of core strength. 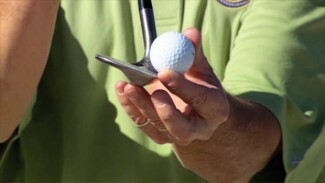 He teaches you about the effect these seemingly minor drills can have on your balance and tempo, and then gives you expert golf swing tips you can practice to become more familiar with the feeling of reaching the finish position with a balanced stance. With these tips and techniques for improved golf swing mechanics, you can kiss those embarrassing whiffs goodbye!